Accidents that occur during an auto accident can cause an auto injury such as whiplash, neck pain and headaches. These injuries can have a damaging effect on your neck and back. As the body attempts to adapt, auto injury symptoms may not appear until weeks or even months later. A car accident that causes an injury to the head and neck is called whiplash. A whiplash injury often results from riding in a car that is struck from behind or that collides with another object. When the head is suddenly jerked back and forth beyond its normal limits, the muscles and ligaments supporting the head and spine can be stretched or torn, resulting in a whiplash injury. The soft pulpy discs between spinal bones can bulge, tear or rupture. Vertebrae can be forced out of their normal position, reducing range of motion. Many people don’t realize they have an auto injury until several hours after a car accident. It’s never too late to receive treatment. early enough, this auto injury treatment can help to reduce inflammation and scar tissue. 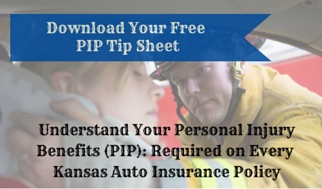 Auto injuries are covered by PIP (Personal Injury Protection). This is required coverage on all auto insurance policies in Kansas and Missouri. A claim to receive treatment after an auto accident does not (and can not) affect your auto insurance premiums. If you or someone you know has been hurt in an auto accident, contact our office today. We can check your benefits before you begin treatment so that you will have a clear understanding of what your auto insurance policy will cover. You can also schedule online.